An end has been put to the 21st Battle Circuit event at Next Level. Head inside for the top eight results of each game played at the tournament festivities. Two of four for the man they call Chris G.
Next Level Battle Circuit 21 took place last Wednesday (May 29) in Brooklyn, NY. 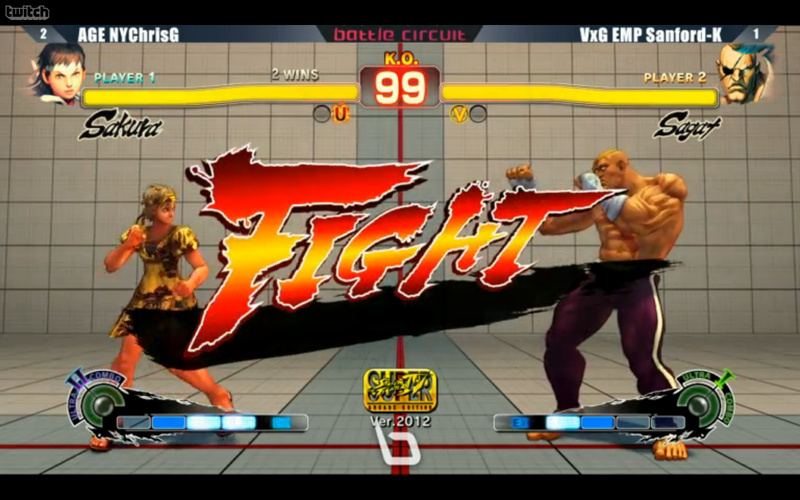 The heavy hitters of the east coast participated in tournament action to prepare for Evo 2013. These players included Chris G, CD Jr., Sanford Kelly, Arturo "TS Sabin" Sanchez and others. The games played were Super Street Fighter IV: Arcade Edition 2012 (AE 2012), Injustice: Gods Among Us, Street Fighter x Tekken 2013 (SFxT 2013) and Ultimate Marvel vs. Capcom 3 (UMvC3). Of those four games, Chris G snagged first place in AE 2012 and UMvC3 action. Here are the top eight results for each title (via EventHubs).